Matthew Stewart, 4th Earl of Lennox (21 September 1516 – 4 September 1571), was the fourth Earl of Lennox, and a leader of the Catholic nobility in Scotland. He was the son of John Stewart, 3rd Earl of Lennox and Lady Elizabeth Stewart, daughter of John Stewart, 1st Earl of Atholl. His grandson was King James VI of Scotland and I of England. 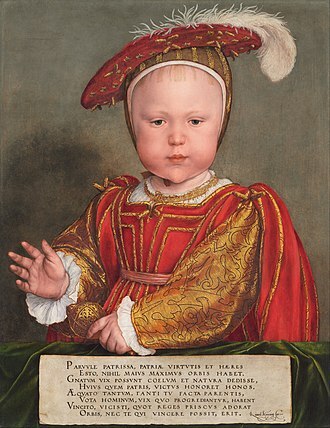 Matthew Stewart succeeded as Earl of Lennox upon the death of his father on 4 September 1526. He spent most of his youth in England, in exile, but returned to Scotland to assert his claims to the line of succession, when King James V of Scotland died in 1542. At the time of the King's death, Lennox possessed a strong claim to the throne of Scotland, should the King's daughter and heir, the infant Mary, Queen of Scots, pass away childless. Lennox was King James V's second cousin once removed, being a great-grandson of Princess Mary Stewart, the eldest daughter of King James II of Scotland, through her daughter, Lady Elizabeth Hamilton, his paternal grandmother. However, James Hamilton, the Earl of Arran, was the grandson of Princess Mary Stewart, and thus held the stronger claim. As a result, Lennox was, at best, third in the line of succession, and really behind Arran's sons. Arran was subsequently made Regent of Scotland. In 1543, Lennox's supporters challenged Arran's claim and legitimacy, by suggesting that his father's divorce and second marriage to his mother were invalid. 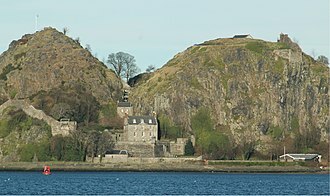 In March 1543, Lennox arrived at Dumbarton Castle, his stronghold, with two ships. He came to Edinburgh, but refused to ratify Arran's position as second in line to the throne and as Regent. 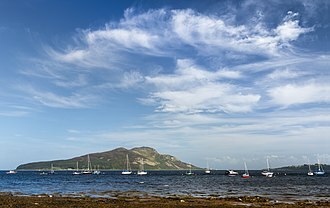 Arran was pushing towards an alliance with England, and made the Treaty of Greenwich on 1 July 1543, agreeing to a marriage between Mary, Queen of Scots and Prince Edward Tudor, the son and heir of King Henry VIII of England. Regent Arran began to fortify Linlithgow Palace, where Queen Mary was held with her mother, Mary of Guise, the Dowager Queen of Scotland. The supporters of Lennox and Cardinal Beaton, camped outside the palace, but lacked artillery for an assault. 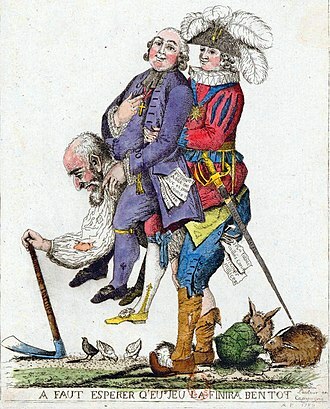 Their representatives parleyed with Arran's men at Kirkliston, near Edinburgh, and a settlement was reached. Henceforth, Arran would rule with the advice of a council, and the infant Queen would be moved to Stirling Castle. Lennox escorted Queen Mary to Stirling on 26 July 1543. 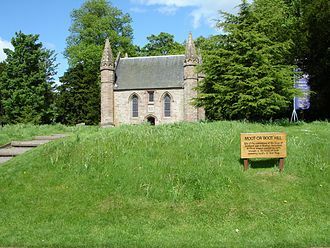 Although Lennox had come to Scotland lured by the prospect of marriage to the widow Mary of Guise, by September, Lennox had been offered the chance to marry Lady Margaret Douglas, daughter of the Dowager Queen Margaret Tudor (wife of King James IV of Scotland and sister of King Henry VIII), and half-sister of the deceased King James V. After Lennox had seized the French money and artillery that was sent to Mary of Guise, she even offered the hand of her daughter Queen Mary in marriage. When the Parliament of Scotland rejected the Greenwich treaty, Lennox then changed sides, and supported King Henry VIII's military efforts to secure a marriage between Queen Mary and his son Prince Edward, in the War of the Rough Wooing. 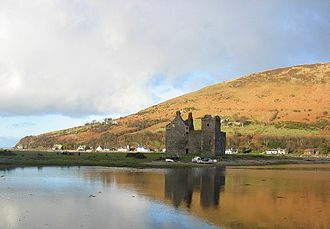 In the summer of 1544, the Earl of Lennox plundered the Isle of Arran, and made himself master of the Isle of Bute and Rothesay Castle, with the support of eighteen ships and 800 men supplied by King Henry VIII. At the Battle of Glasgow Muir, his force of men managed to drive the first rank of the more numerous forces of Arran back into the second rank, and captured their cannon. However, the battle ended more favourably for the Regent Arran. There were about 300 slain on both sides, and Lennox himself withdrew to Dumbarton Castle. After a consultation with his English officers, Lennox attacked Dunoon Castle, as well as burning the nearby village and church. 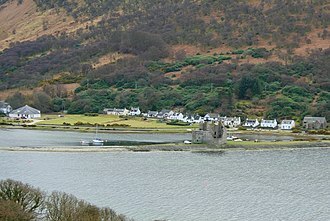 He subsequently then laid waste a large part of Kintyre, but as he had not succeeded in regaining possession of Dumbarton Castle, after it had been seized, Lennox retreated to his ships and sailed for England around 28 May 1544. When the English army approached Edinburgh, before the Battle of Pinkie Cleugh, far to the west, a diversionary invasion of 5000 men was led by Thomas Wharton and Lennox on 8 September 1547. 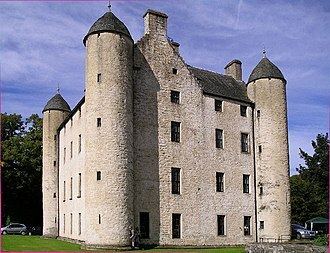 They took Castlemilk and burnt Annan, after a bitter struggle to capture its fortified church. Charles Stuart (1557–1576), who married Elizabeth Cavendish in 1574. 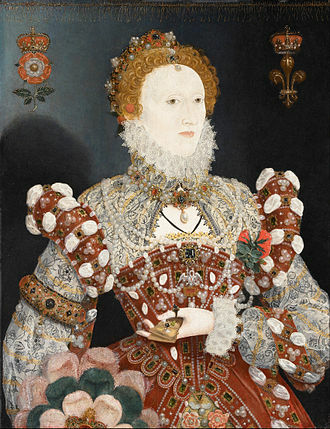 Elizabeth was the daughter of Sir William Cavendish and Bess of Hardwick. by Charles Stewart, Lady Arbella Stuart. For a time, Lennox and his family resided at Whorlton Castle which had been granted, with the estate, to him by King Henry VIII. Later, at some point in the late 16th century, a house was built there by the Lennox family adjoining the northwest end of the castle's gatehouse. In August 1548, Lennox made four promises to Mary of Guise in order for her assent to her daughter Queen Mary's marriage to Francis II of France. These were: that he and his friends and retainers would preserve the Catholic faith in Scotland; they would guard the Auld Alliance; Guise would remain guardian of the Queen; and he would punish all who supported the King of England. Lennox returned to Scotland upon the urging of Queen Elizabeth I of England, during the marriage negotiations of Queen Mary of Scots in 1564. He quickly took up his position as the most powerful lord in the Glasgow area and was later instrumental in the marriage of his elder son, Lord Darnley, to Queen Mary. 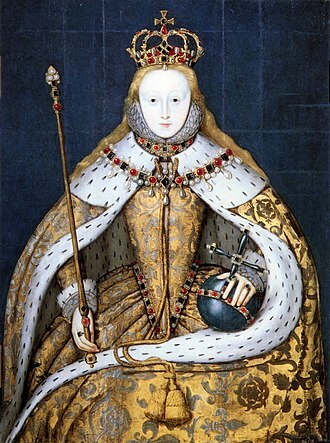 Whether Queen Elizabeth I had intended this (in order to eliminate the threat of a continental marriage), as is sometimes conjectured, remains doubtful. 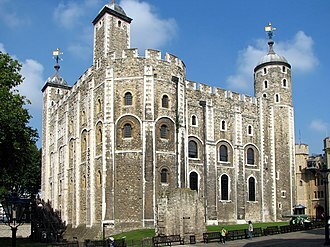 The Queen of England reacted with disapproval and had Lennox's wife Margaret confined in the Tower of London. By August 1565, William Cecil had heard that, the insolence of his son Darnley, had driven Lennox from the Scottish court. 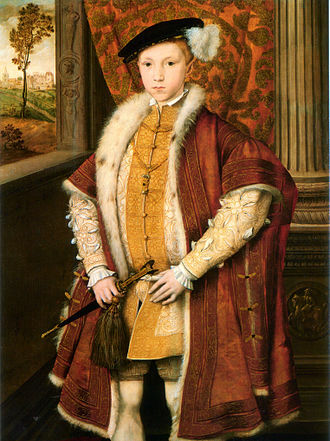 After his elder son Darnley was murdered early in 1567, Lennox was the most ardent pursuant of justice against the lords who had conspired in the murder. He also became the main witness against Queen Mary, though her involvement in the murder, thought to have been carried out by her later husband, Lord Bothwell, is controversial. In 1570, Lennox became regent for his grandson, King James VI of Scotland, but Queen Elizabeth's party declared war against him. He was shot dead next year in a skirmish, when the Queen's party attacked Stirling. The raid on Stirling on 4 September 1571 was led by the Earl of Huntly, Claude Hamilton, and the lairds of Buccleuch and Ferniehurst. Early reports said he was killed by his own party. William Kirkcaldy of Grange said the shot was fired by the Queen's party, and another account names David Bochinant as the assassin. ^ "Oxford DNB login". Oxforddnb.com. Retrieved 14 October 2016. ^ Dickinson, Gladys, ed., Two Missions of de la Brosse, Scottish History Society (1942), 7-8, 19: Calendar State Papers Scotland, vol, 1 (1898), 691-694. 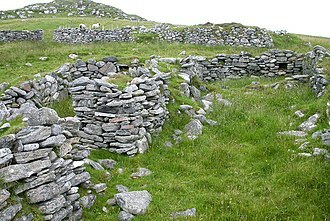 ^ Marshall, R. K., Mary of Guise, Collins (1977), 126-130: Merriman, Marcus, The Rough Wooing, Tuckwell (2000), 124-126: Furgol, Edward M., The Scottish Itinerary of Mary Queen of Scots, PSAS, vol. 107, (1989), 119-231. ^ Marshall, R. K., Mary of Guise, Collins (1977), 139-140. ^ a b Cleland 1816, p. 10. ^ Paterson 1852, p. 174. ^ Tytler, Patrick Fraser, History of Scotland, vol. 3,(1879), 63: Calendar State Papers Scotland, vol. 1, (1898), p.19 no.42, Lennox & Wharton to Somerset, 16 September 1547. ^ The Lost Tudor Princess: A Life of Margaret Douglas, Countess of Lennox - page 157: "given the fact the Lennoxes' second son had been given the same name as their deceased first son. ^ The Lost Tudor Princess: A Life of Margaret Douglas, Countess of Lennox – page 157: "which suggests that his brother, Philip born the previous year, was still alive." ^ HMC, 9th report part 2, Alfred Morrison, (1884), 414-5. ^ Ellis, Henry, Original Letters, second series, vol. 2, (1827), 303, Cecil to Thomas Smith, 1 September 1565. ^ Calendar State Papers Scotland, vol. 3 (1903), 679-687. Temple Newsam is a Tudor-Jacobean house with grounds landscaped by Capability Brown, in Leeds, West Yorkshire, England. The estate lies to the east of the city, just south of Halton Moor, Whitkirk, Temple Newsam is the name of an electoral ward for Leeds City Council, which includes the areas of Halton Moor, Whitkirk and Austhorpe. 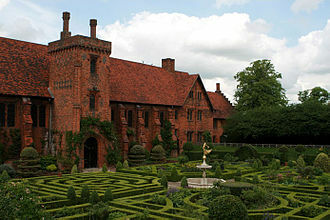 The population of the ward at the 2011 Census was 21,543, in the Domesday Book the property is known as Neuhusam and was owned by Ilbert de Lacy. Before that it had been owned by Dunstan and Glunier, Anglo-Saxon thanes, around 1155 it was given to the Knights Templar, who built Temple Newsam Preceptory some distance from the current house. In 1307 the Templars were suppressed and in 1377 by royal decree the estate reverted to Sir Philip Darcy, between 1500 and 1520 a Tudor country house, Temple Newsam House, was built on the site. It has been described by some as the Hampton Court of the North and it has been spelled Newsham in the past. In 1537 Thomas, Lord Darcy was executed for the part he played in the Pilgrimage of Grace, in 1544 Henry VIII gave it to his niece Margaret, Countess of Lennox and her husband Matthew Stuart, Earl of Lennox. Their son Henry, Lord Darnley was born in the house in 1545, Darnley married Mary, Queen of Scots, and Temple Newsam was again seized by the Crown in 1565. 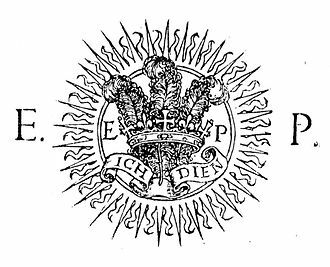 In 1603 James I granted it to his relative Ludovic, Duke of Lennox, in 1622 the estate was bought by Sir Arthur Ingram for £12,000. During the next 20 years the mansion was rebuilt, incorporating some of the house in the west wing. In 1661 Sir Arthurs grandson Henry Ingram was created Viscount of Irvine and he married Lady Essex Montagu, between 1736 and 1746 Henry Ingram, 7th Viscount of Irvine, remodelled the west and north wings of the house, creating new bedrooms and dressing rooms and the picture gallery. In the 1760s Charles, 9th Viscount, employed Capability Brown to re-landscape the park, the work was continued by his widow Frances, née Shepheard, who rebuilt the south wing, and lived at Temple Newsam until her death in 1807. Lady Hertford inherited the house in 1807, in 1841 the estate was inherited by Hugo Francis Meynell Ingram. Elizabeth Talbot, Countess of Shrewsbury, known as Bess of Hardwick, was a notable figure of 16th century Elizabethan English society. By a series of marriages, she rose to the highest levels of English nobility. Bess was a business woman, increasing her assets with business interests including mines. An accomplished needlewoman, Bess joined her husbands captive charge at Chatsworth House for extended periods in 1569,1570, and 1571, during which time they worked together on the Oxburgh Hangings. Bess is known for her building projects, the most famous of which are, now the seat of the Dukes of Devonshire. Elizabeth Hardwick was the daughter of John Hardwick of Derbyshire by his wife Elizabeth Leeke, daughter of Thomas Leeke and it cannot be than 1527 because of the date of her fathers death, given in his Inquisition Post Mortem. By the mid-fifteenth century the family had risen to gentleman-yeoman stock, the Hardwick coat of arms of Hardwick was probably granted c.1450 to William Hardwick. The blazon is, Argent, a saltier engrailed azure on a chief of the second three cinquefoils of the first. 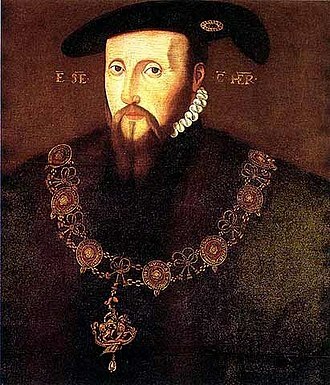 When giving evidence of his right to arms in 1569, Besss only brother, James Hardwick, provided the heralds with a pedigree of his family began with this William. James was the last surviving male member of the Hardwick family. The Hardwicks were members of the gentry of Scarsdale, no male member of the Hardwick family rose above the status of esquire or held any important local or county offices. Bess was born into this relatively minor gentry family and her fourth marriage to the earl of Shrewsbury in 1567 elevated her to the rank of countess, and following the earls death in November 1590, Bess became one of the richest women in the kingdom. She set about building her greatest monument, Hardwick New Hall, John Hardwick died aged about 40 leaving a widow and four daughters. His widow, Elizabeth Leeke remarried to the son of the neighbouring Leche family of Chatsworth. Little is known of Besss early life and she appears to have been espoused to her first husband during the 1530s, and probably married for the first time in 1543. The Rough Wooing was a war between Scotland and England. 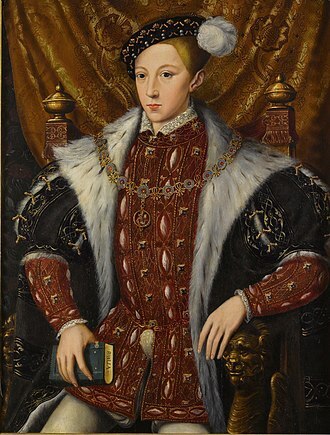 Edward VI, crowned king in 1547, continued the war until changing circumstances made it irrelevant in 1550, in Scotland, the war was called the Eight or Nine Years War. 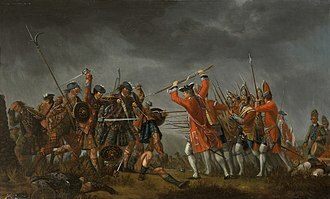 The idea of the war as a Wooing was popularised many years by Sir Walter Scott, more recently, Marcus Merriman titled his book The Rough Wooings to emphasise the division of the conflict into two or three distinct phases. 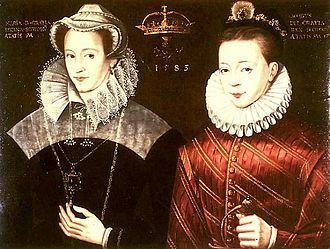 In 1542, a Scottish army came to grief at the Battle of Solway Moss and James V died soon after, the English marriage for Mary proposed by the Treaty of Greenwich was conditionally accepted by the Scottish government led by Regent Arran. However, Arran was slow to advance the marriage due to strong internal factions favouring alliance with France, twenty years later, the English diplomat Ralph Sadler reported Adam Otterburns words to him on the Scottish opinion of the marriage, Our people do not like of it. 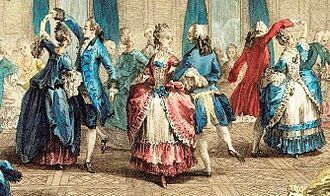 And though the Governor and some of the nobility have consented to it, yet I know that few or none of them do like of it, and our common people do utterly mislike of it. I pray you give me leave to ask you a question, if your lad was a lass, and lykewise I assure you that our nation will never agree to have an Englishman king of Scotland. 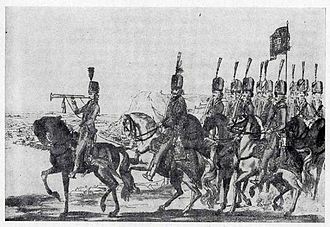 And though the whole nobility of the realm would consent, yet our common people, in Scotland civil war ensued with the Regent opposed by the Douglas faction in the East and Matthew, Earl of Lennox in the West at Glasgow. With this internal background, the Scots faced the anger of Henry VIII, five days later, on 20 December, war was declared in Edinburgh by the messenger Henry Ray, Berwick Pursuivant. Henry had released a number of Scottish noblemen captured at the battle of Solway Moss on licence, in March 1544, he sent his Richmond Herald to the Privy Council of Scotland to demand their return. Major hostilities began with an attack on Edinburgh on 3 May 1544, led by the Earl of Hertford, Hertford had instructions to burn Edinburgh and issue Henrys proclamation of 24 March 1544, which laid the blame on Cardinal Beatons sinister enticement of Regent Arran. Hertford had considered establishing an English garrison at Leith but the Privy Council had vetoed this plan, Henry VIII had asked him to destroy St Andrews, but Hertford pointed out the extra distance would be troublesome. After burning St Mynettes on the side of the Forth and taking fishing boats for landing-craft. Hertford parleyed with Adam Otterburn who was Provost of Edinburgh but he had been instructed not to make terms, the next day the troops entered Edinburghs Canongate, and set the city on fire. Edinburgh Castle was defended by cannon fire commanding the Royal Mile, Hertford decided not to lay siege but thoroughly burn the city. According to the English contemporary account, all the houses within the suburbs and city walls were burnt including Holyroodhouse, the English ships at Leith were loaded with looted goods and sailed with the captured Unicorn and Salamander. The army returned to England by land, burning towns and villages along the way, soon after the English force landed, Regent Arran released the Earl of Angus and George Douglas of Pittendreich who had been imprisoned in Blackness Castle. William, 2nd Duke of Somerset. The infant Mary, Queen of Scots (shown here as an older girl) was the focus of the 'Rough Wooing'.